This morning the RCP 4 way poll average shows Hillary Clinton leading Donald Trump by 4.5% with over 10 weeks and 3 debates to go prior to election day. In 1980 Gallup showed Carter with an 8% lead over Reagan in late October. Yet, many on both sides of this election have rushed to call this election "over." Equally puzzling are those on the right that wring there hands in serious thought asking, "Is there enough time - to turn this around." If this were the Super Bowl, it would be the equivalent of asking if it were possible to come back from a 7 - 3 deficit - in the first quarter. This is NOT to say the polls are wrong. I do think they probably under poll Trump support by a point or two, but it's foolish to not realize that at this point in time; Trump would be likely to lose if the election were this coming Tuesday. But it's NOT this coming Tuesday. It's about 10 Tuesday's from now. That's a political eternity, especially in the current era of the 24 hour news cycle where opinions change on a dime. During the next 10 weeks, Trump has positioned himself to benefit from likely major new events of the day. Unrest in the Middle East, violent domestic protests, any terrorist event - ALL tend to favor Trump. Perhaps most importantly, Trump is running, and running hard. He's doing major rally's - in person almost every day. Sometimes more than one per day. Every rally draws thousands. All leave energized and hopeful. No, he's not really started an air campaign yet - and that's a gamble. It's likely a good gamble though. Hillary has burned through 10's of millions in a unilateral air campaign and has managed to eek out a 4.5% margin. Hillary, by contrast, has gone into the "prevent defense." She seems willing to let the media run for her; doing scripted interviews, reading answers to pre-arranged questions, and believes that she can hide for 10 weeks without answering concerns about emails, her health, Clinton Foundation corruption, or the failed policies of her State Department. Maybe she can, and the ugly truth for Democrats is - that's her only hope. She can't do more events, because the more people see her, the more unlikable she becomes. Trump offends some people. But he clearly has an appeal to many, and honestly he has a way of wearing down opposition and growing on even those that initially dislike him. His current appeal to Blacks is a good example. Trump won't win a majority of the Black vote. He doesn't have to. If he gets 10% he'll win Ohio. If he gets 15%, he'll also win Pennsylvania, Michigan, and Wisconsin. During the next 10 weeks Trump will continue landing body blows with large public rallies, and chip away at the Clinton lead. In the end, this race will be decided by turnout. Turnout is driven by enthusiasm. Hillary does little to inspire enthusiasm, especially in the minority communities. Hillary not only needs to win Blacks at 95% and Hispanics by 75% - she needs "Obama like" turnout from both groups. It's just difficult to see how an elderly white woman hiding on friendly media outlets will generate the record breaking minority turnout that propelled her predecessor to consecutive victories. But what of #NEVERTRUMP and a possibly depressed GOP turnout? It's possible. It's the best hope for a Hillary victory. But the empirical evidence seems to contradict it. More people turned out to vote for Trump in the primary than any other candidate in GOP history. The #NEVERTRUMP movement was stronger then, than it is now. There are two common characteristics about Jeb Bush, Eric Ericson, Ben Shapiro, and the rest of the #NEVERTRUMP folks. They each are only 1 vote, and NOBODY will change their vote because of what they say. In the end, the question becomes will there be more new Trump voters than there are Bush, Ericson, and Shapiro types that reinforce their own irrelevance by abstaining from voting. In conclusion, it seems almost inevitable that the candidate that is aggressively attacking the candidate in "duck and cover" mode - will eventually prevail. 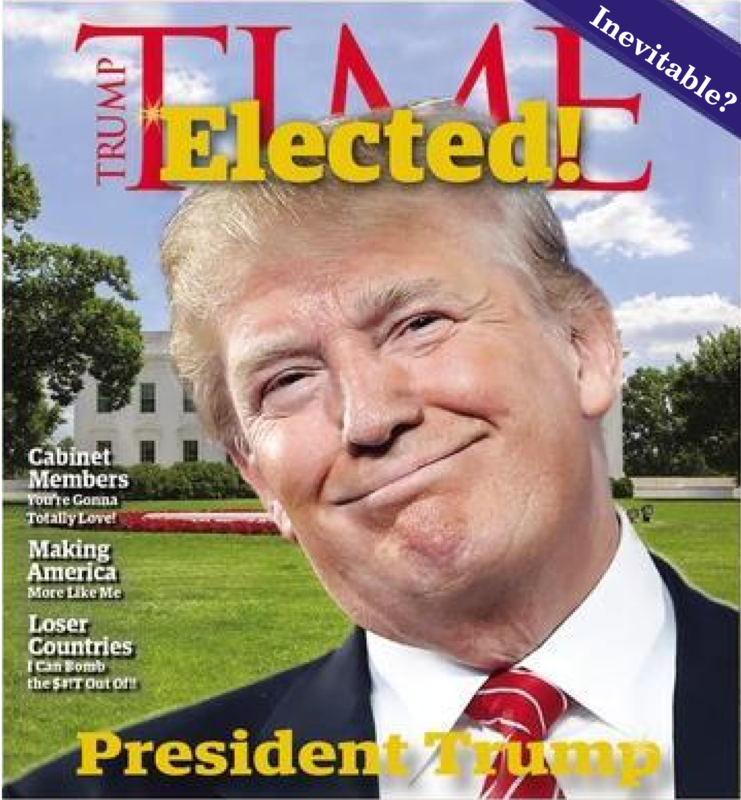 Of course none of us knows with certainty what the future will hold, but if the current of arc of both campaigns remains as they are, it's likely that we'll all soon be saying, "President Trump." There is a growing narrative that Hillary Clinton will be indicted for illegally transmitting classified information over non-classified systems. The "evidence" seems irrefutable on its' face. It consists of the Hillary's own response to a request to turn over her "emails" from a private email server. It is important to remember that Hillary NEVER turned over ACTUAL EMAIL. She turned over 50,000 pieces of paper that she claimed contained the printed product of all the "email" that she chose not to delete. As we've discussed previously, it's likely that there is NOTHING on any printed page that Hillary didn't want people to see. If that's so, why is there so much "classified information" in evidence? Because that's NOT what she was attempting to conceal. Desperately needing to conceal such information, team Clinton swung into action. 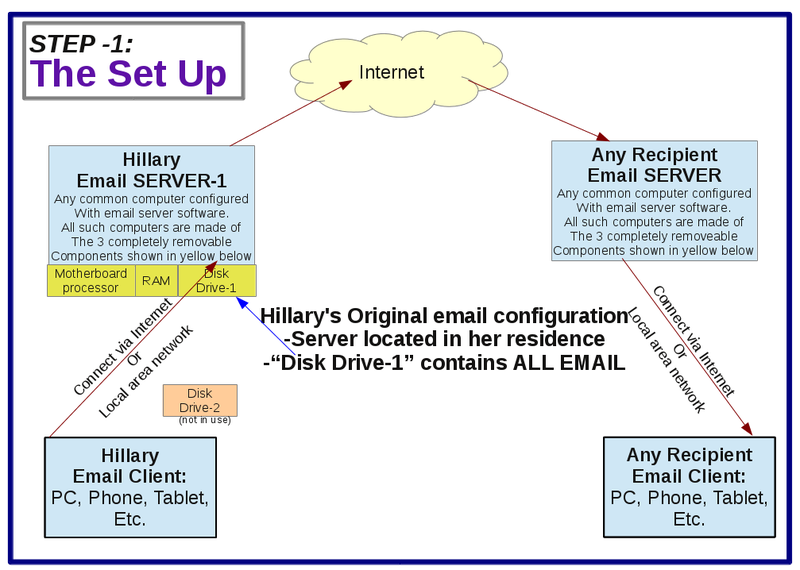 -They went into the actual State Department Server, and downloaded "official" email documents onto a thumb drive. -They culled all the emails that contained damaging information about Benghazi and influence peddling. -Converted the new "email files" to printable .pdf format. -Printed the new "email files." -Destroyed the hard drive where all the evidence existed. -Voila - Perfectly clean email history. No evidence of Benghazi cover up, or quid pro quo influence peddling as detailed in "Clinton Cash." Only one problem. Much of what they copy / pasted to cover their tracks on Benghazi and illegal solicitations turned out to be "classified" and shouldn't have been sent from that email system. In fact, the presence of such classified email is in itself, a significant crime. One might ask, "Are they that incompetent that they didn't know that placing classified information on their emails was a crime?" Doesn't seem so crazy now, does it? I find it increasingly frustrating that the coverage of the Clinton Email Scandal has been so shallow. The fundamental facts of the case are routinely ignored and replaced with the narrative of the day. 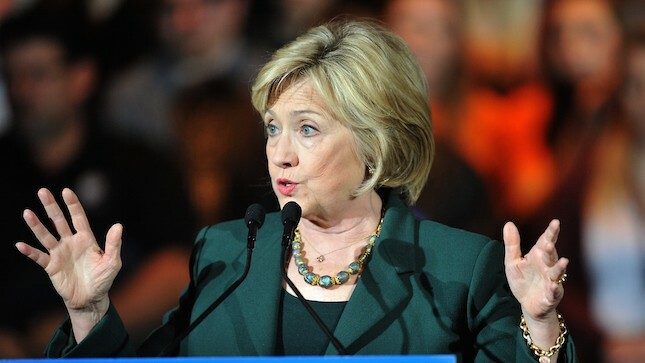 Her emails were subpeoned by Congress searching for information on Benghazi. It was also widely rumored that her email may contain damaging correspondence confirming the suspicions raised in "Clinton Cash." Clinton responded by refusing to turn over any email, (which originated on a private system in her home) but turned printed pages which she unilaterally determined to be complete. Now we've been told that "The FBI can recover deleted emails from her second server located in Colorado;" - and we're all supposed to be waiting breathlessly for the damning results. There won't be any. That server is completely clean. Always has been. To conduct a search of the Platt River server (we'll call it Server-2); while ignoring that the original server data in New York has been totally destroyed is idiocy. 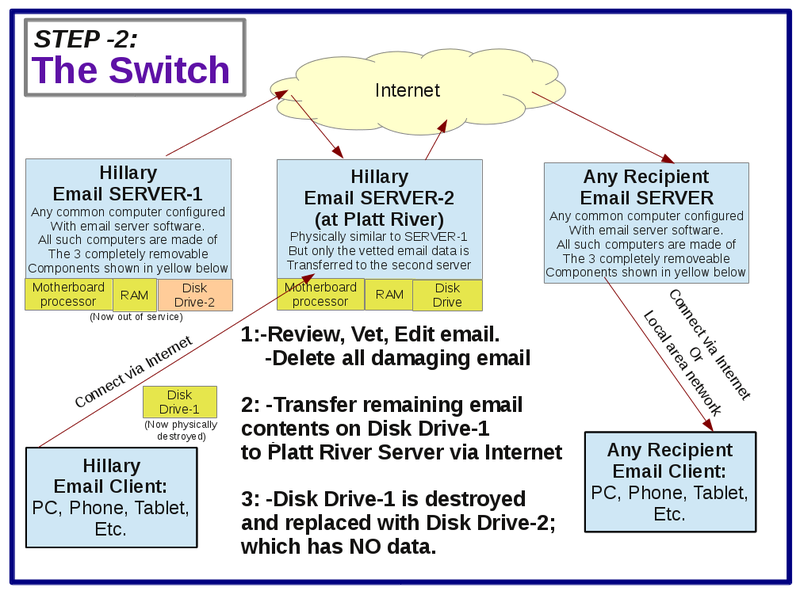 There is no chance that anyone wanting to conceal data (and Clinton clearly was) would transfer any implicating data from Server-1 to Server-2. 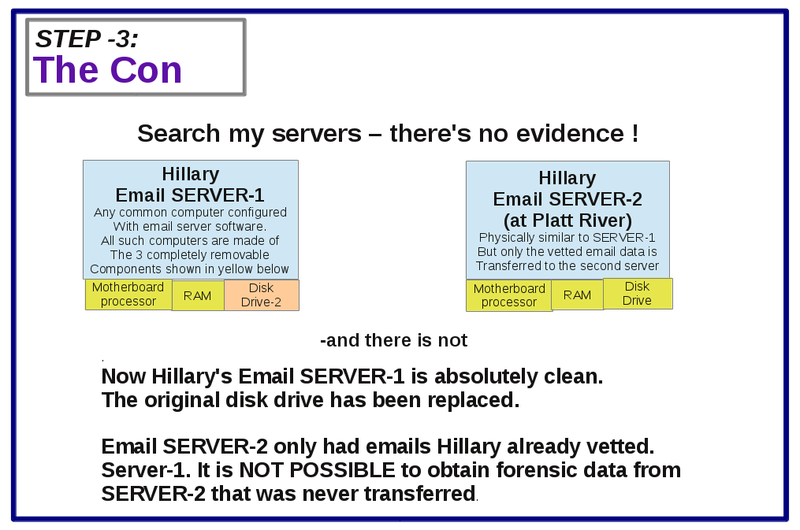 So relax, the chances that the FBI finds anything incriminating on "Server-2" that they are now "searching" - are ZERO. So, Donald Trump did not "correct" a person who described President Obama as a Muslim - and this is supposed to be a controversy of some sort ? A full 1/7th of the worlds population believe that any child born to a Muslim father IS and will ALWAYS BE a Muslim. Just because I'm not part of that 1/7th, doesn't really make me an authority, nor does it require me to "correct" someone who doesn't share my belief. Objectively, it's undeniable that Obama was the child of a Muslim father. 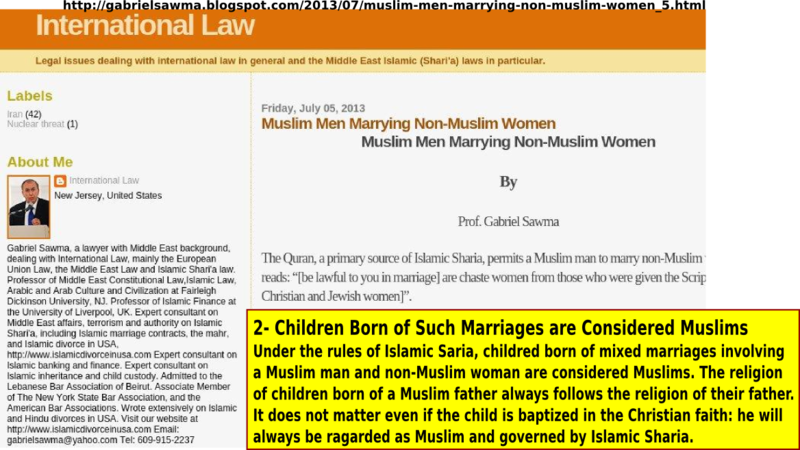 It's likewise undeniable that well respected practitioners of International Law, such as Professor Sawma shown in the image above, would concur that President Obama is a Muslim. So why is the media so willing to insult a fundamental aspect of the Islamic faith by demanding Donald Trump publicly denounce it's teachings - by insisting President Obama is a Christian. While the media is anxious to characterize anyone who might suggest the possibility that Obama is a Muslim must be a back-wood, hay-seed, in-bread, toothless, moron - the truth is that there is significant basis for that belief. I'm not old enough to remember the Kennedy election, but I recall my mother (who considered JFK a Saint) telling me about how ruthlessly the media focused on his Catholic faith, and repeatedly questioned his loyalty to the U.S. because of his religious connection to the Vatican. Mitt Romney, and his father were constantly questioned about their religious history and how it related to their political beliefs. The fact that many people are unclear about Obama's faith is largely due to the media having never vetted Obama about how he was born the son of a Muslim father, grew up in a Muslim country, but somewhere along the line became a Christian. This is not Donald Trumps problem, nor is it entirely unreasonable to come to the conclusion that Obama is a Muslim. I wonder if the media would demand that Trump correct Professor Sawma on his obviously erroneous belief.